I've heard that the difference between dogs and cats is that dogs marvel at how we have hands to open their dog food containers. They consider humans to be gods that take care of them. Cats observe how we feed them and treat them so well they have concluded that they must be gods. Why else would they get such treatment? Cats are the first to remind humans of their special place in one of history's most advanced ancient civilizations: Catlantis. Is there any truth to several extraordinary cat claims and their reputed legendary origin in Catlantis? Here are my findings. 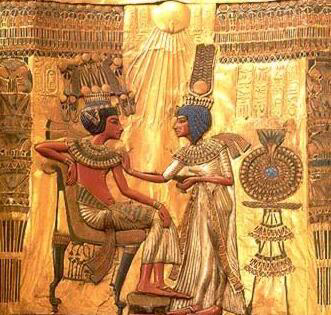 The Pharaoh Corbahotep in Fourth Millennium BC Egypt was completely forgotten by history. 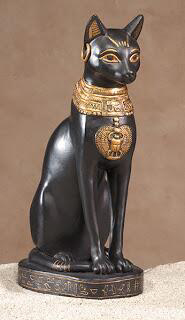 Corbahotep loved Meowpatra and ordered 9 pyramids built for each of her soul's afterlifes. Some believe the pair were resurrected in the late 2nd Millennium AD and are still happy together. Temple hieroglyphs at Felinopolis, Egypt mention the legend of Catlantis, the birthplace of today's strangely sophisticated pet animals. Some have to tried to locate it in both Catalonia and Catiz, Spain but no evidence of Catlantean purramids and culture were discovered. The Dogger Bank was rejected as the location for obvious reasons. As of now most scholars doubt the legend has any reality. I am skeptical. It's true that Cato the Younger was in Egypt during time of Cleopatra, fighting with the Roman Legions. It's said that he heard the legend. How can the curious inscriptions at Felinopolis be believed? Everyone knows cats can't write. It's curious that the oldest written record in history tells of the city of Ur and that the original spelling was Pur. The P was smudged out. Another puzzling thing is that later in history a mighty empire named itself after the most royal of cats known as Persians. 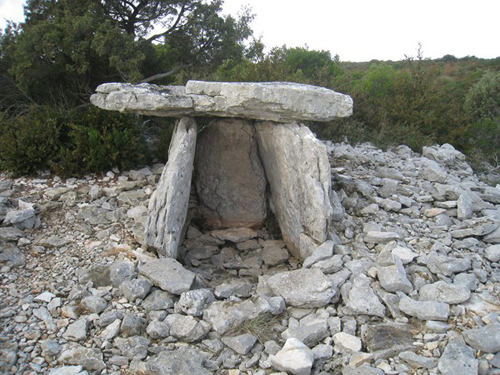 One theory is that Europe's smallest megalithic dolmens were once filled with kitty litter & served as cat boxes. The cats are said to have quickly fled Catlantis at the first sign of the rising sea level because they hate to get wet. 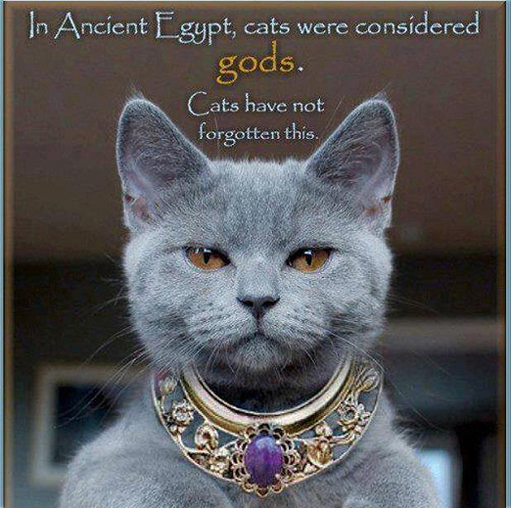 Egyptians cat worship is noteworthy. Cats lived lives of luxury which suggest high importance. But its suspicious that there are few records. 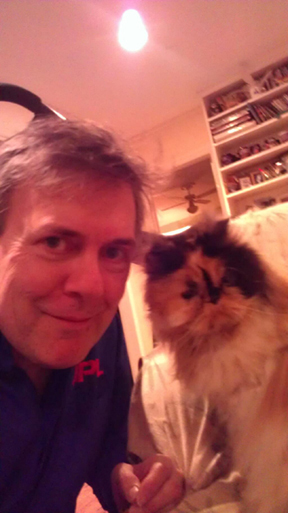 I like cats but they are known to be untrustworthy and manipulative for their own benefit. I suspect they invented the Catlantis legend. The moral of this story is: don't believe anything a cat tells you about why you should worship and adore them. They're really just animals. Cats would still have you believe they are near-immortal. Nine lives? Prove it. Cats are lying little sun worshippers. They love to lie in the sun. To me the most difficult, hard-to-explain clue regarding Catlantis is that we use the words "catastrophe" & "cataclysm" for disasters. Why? 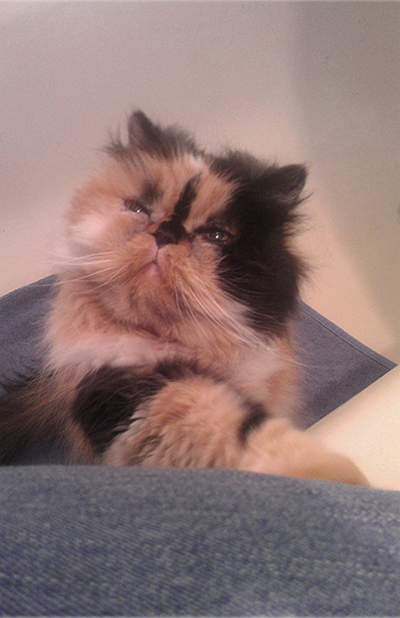 Now, if you'll excuse me - my little Persian girl cat Zeena is demanding I cease my lies and fabrication and pet her now.